Several weeks from the last post not a lot has happened. I made a start on my Adeptus Mechanicum Zone Mortalis force, however as you can see below it hasn’t progressed far. I also half three Vorax half built. I am not enjoying building these. At all. The lack of progress is partly due to how long it is taking to build them and partly the fact the Christmas break went far too quickly and before I knew it I was back in work and back doing the degree. 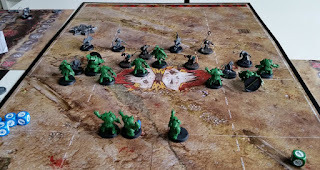 I did take off this weekend past to get in some games of Blood Bowl. It’s been a long time since I have played Blood Bowl. It was good to handle some oddly shaped spikey balls again. I am tempted to pick up the forthcoming Ogre, just to add a bit of variety to the Human team and some hitting power. Long term I won't be doing anything with the two teams from the box as I am waiting for the Nurgle team to be released. Until then I'll have to make do with the Orc and Human teams. Hopefully Papa Nurgle won't wait too long. 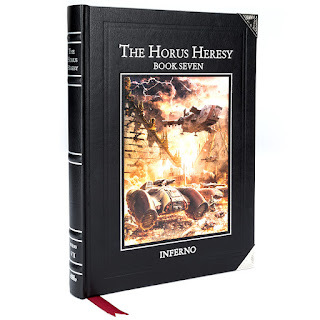 Now this time next week my mind will be turning very much to the Horus Heresy Weekender. ...and if it is there the next Imperial Armour book. That, at the moment, is it. I will do the usual multiple posts after the event, and possibly on the Saturday evening as well. I will also be on Twitter during the event, so go along to @Rictus40k if you want to keep an eye on what I manage to post up. A few of us are also going to be at Warhammer World on the Friday, I know there will be a fair few others also at WHW before the event so say hello if you want to. New Years Open Day 2017 - Boards and the 40k 30th. So to wrap things up from the Open Day here are more pictures. On the left is an original Rogue Trader, in decent-ish state but I am too afraid to open it nowadays in case it falls apart. 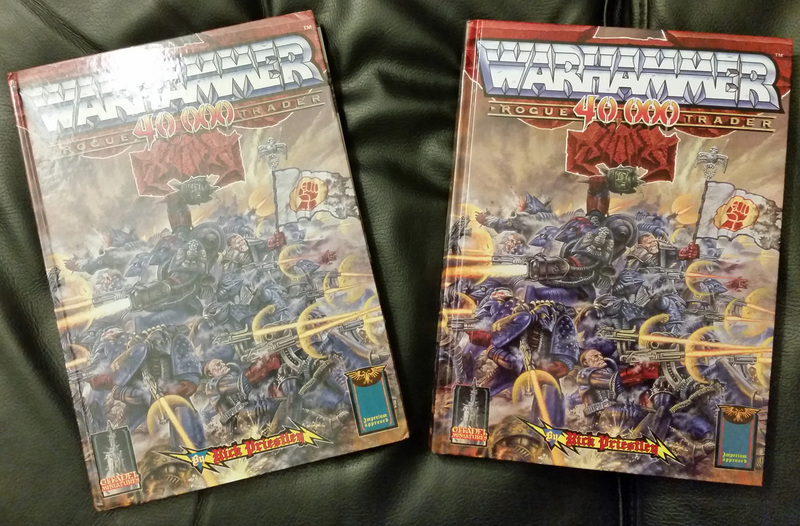 On the right is of course the new anniversary edition I picked up. Great looking book, more solid and higher quality that the original and a very good copy. Fresh back from Warhammer World from the New Year Open Day. First News...the only info I can at the moment remember...this may be a bit shambolic as I'm just putting down stuff I can remember and hoping it makes sense. 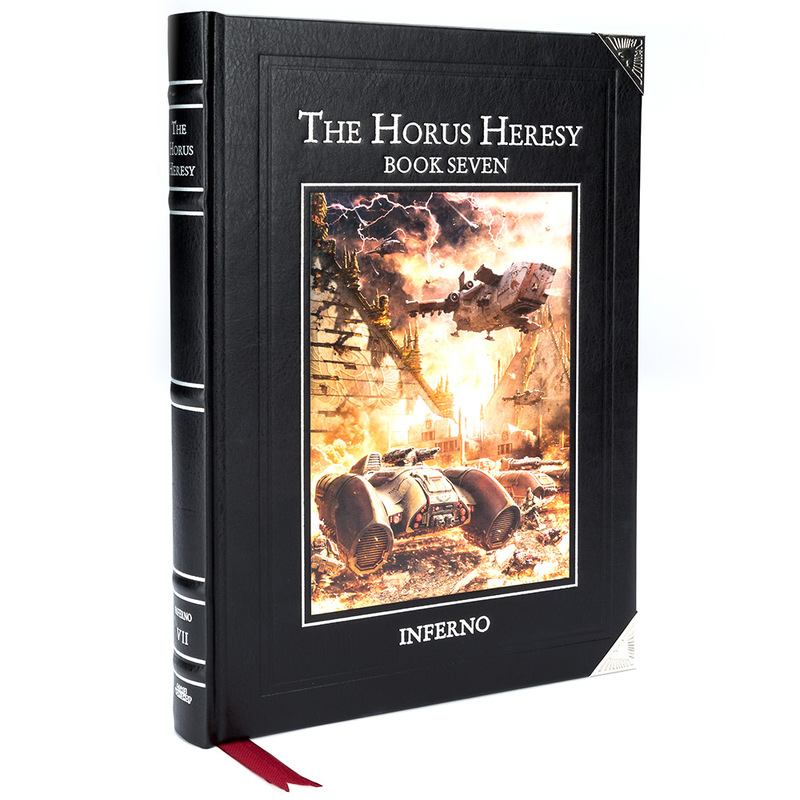 Only asked about availability, Tony Cottrel thinks it is on for the Heresy Weekender, the book is at the printers at all being well the boats packed with black books should arrive back in the UK in time for the first week in Feb and the Horus Heresy Weekender. Specialist Games – had a chat with Andy Hoare, as always a friendly chap who seems happy to answer what was almost certainly the fiftieth time he had heard the same questions being put to him that day. Release has been put back. Mix of reasons including GW releasing this may be a very popular choice (really? Who would have thought?). Gives them more time to work on things and allow a bigger initial release with more models etc. So far the Warlord, Reaver and Questoris Knights have been 3D modelled for the new game. 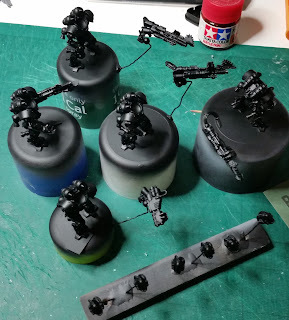 Warhound is currenty being worked on. A game is expected to be around five titans of any class. You pick a type of Maniple, such as Scout, Assault or Battle and pick accordingly. This means you could have a game of five Warlords v five Warhounds. You then take the difference in the two sides and the weaker side then gets to spend those points on other things, I can’t remember the name now of them – Stratagems? Something like that. About nine titans a side is about the limit you would reasonably want, unless you have the time spare. The emphasis of the game is controlling you titans and making decisions such as power levels, ramping up your generator makes you faster, more powerful weapons and shields but has consequences. Your titan has a personality and may not like what you try and do with it. Basically as you get in the novels the Princeps has to keep control over something which may not want to relinquish control. So if you have a bloodthirsty, hunter type titan trying to back away from a fight might not be the easiest thing to do. Terrain has been done as have Realm of Battle boards which the buildings can fit onto. These are at the factory already so should be ready to go when the game is released. There is no great desire to redo Epic. 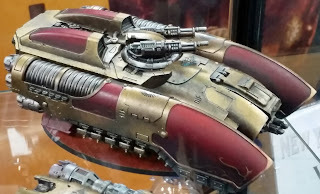 While we may get more games at the same scale – such as a massed tank version there is no desire to see a combined titan/tank/infantry battle. Basically they don’t just want 40k at a smaller scale. There is a chance, though it may be small, we see some of the models at the Heresy Weekender in a month’s time. Season Two book is likely April-ish. Plastic Ogre player will be out soon. There will also be a plastic Troll. They decided to do these in plastic as they can be taken in so many team. Elf Union team is being worked on, Nurgle will follow after these hopefully later this year (October?). Also Goblin team in plastic, I think from memory these will come before the Elves. Goblins were a must for plastic as they can be taken on their own as well as being taken as members of other teams. Expect at least one Star Player to follow with each team, some may get two. The Skaven star player (two heads, four arm guy) will be here soon. Season Two will have a lot of Star Players in there, some known and some who are new. Neoprene pitches are a go. The human and Orc pitches have been done as the first ones have arrived at GW to look at and test out. Forgot to ask when these are likely to be out. And on to the pictures.